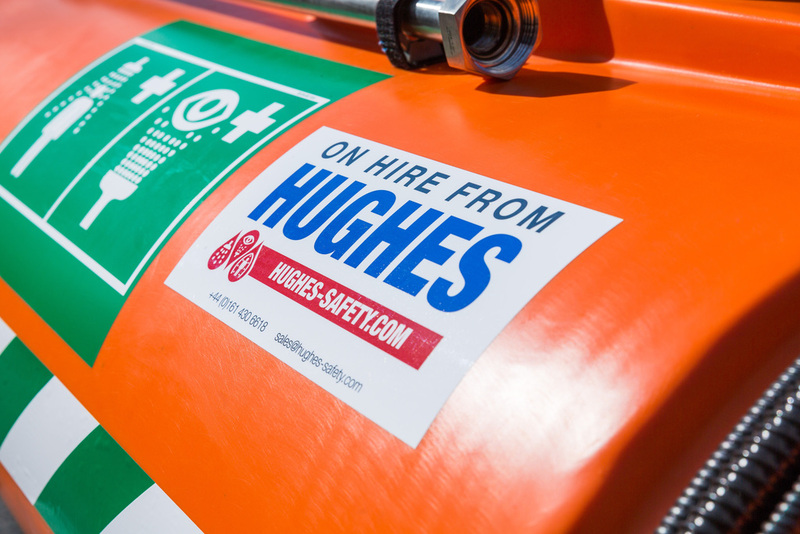 Three of Hughes’ models are available for hire whether it’s for a week, a month or a year. The STD -J-40K/45G Mobile Self-Contained Emergency Safety Shower is ideal as a secondary measure to supplement your permanent safety showers. Easy to manoeuvre and suitable for towing, its adjustable wheel-spacing means it can fit through a standard door opening. For situations where tepid water, a constant water supply or sufficient water pressure are unavailable, Hughes offers the EXP-MH-14K/350 Immersion Heated 350 Litre Emergency Tank Shower.